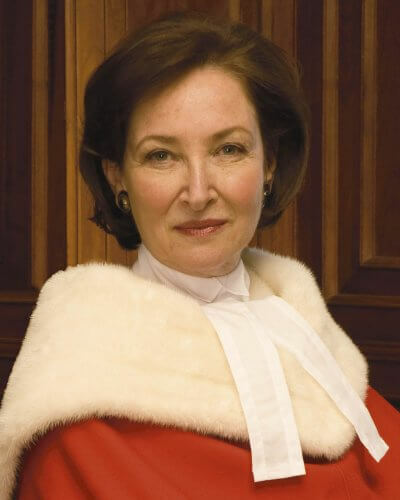 Rosalie Abella was appointed to the Supreme Court of Canada in 2004. Supreme Court Justice Rosalie Abella. 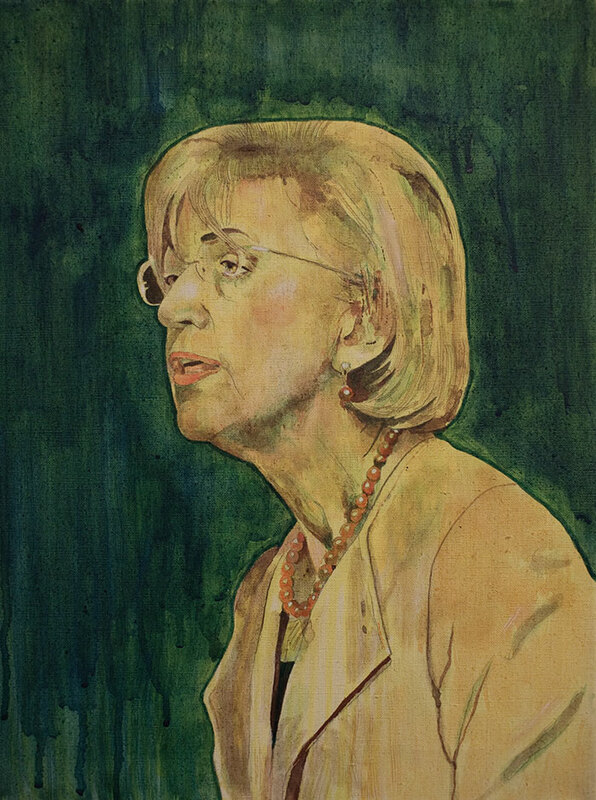 Text of a convocation speech given by Rosalie Abella at Yale Law School, delivered on May 23 in New Haven, Connecticut. Igraduated from law school in 1970 and have, every day since, been proud to be a lawyer. But it’s important for all of us to remember that it’s not just what the legal profession stands for, it’s what it stands up for. And in these frenetically fluid, intellectually sclerotic, economically narcissistic, ideologically polarized, and rhetorically tempestuous times, in a world that too often feels like it’s spinning out of control, we need a legal profession that worries about what that world looks and feels like to those who are vulnerable. That’s why we need all of you. Let me explain. Last week, I spoke at the Jagiellonian University in Krakow, Poland, at a conference to mark the seventieth anniversary of the Nuremberg trials. It was an intensely powerful experience for me. My father went to the Jagiellonian Law School in 1930. Because there was a quota on the number of Jews, he was one of very few admitted. There were special seats assigned to Jewish students. Rather than sit in them, he stood through most of his first year. He graduated in 1934, then spent the next four years completing the requirements to be admitted to the profession—working in a law firm and clerking at a Court of Appeal in Radom, Poland. In July 1939, the chief justice of the Court of Appeal approved his candidacy for a judgeship. The judicial examination was scheduled for October 1939. On September 3, he married my mother. It turned out to be the day the Second World War officially started. The moment I heard the story about my father being denied the ability to be a lawyer, was the moment I decided to become one. He never got to take the judge’s exam. And he never got to practice law in Poland. Instead, he and my mother spent three years in concentration camps. Their two-year-old son and my father’s parents and three brothers were killed at Treblinka. After the war, my parents went to Germany. My father taught himself English and was hired by the Americans as a lawyer to deliver legal services to displaced persons in Southwest Germany. In an act that seems to me to be breathtaking in its optimism, my parents decided to transcend the inhumanity they had experienced and have children. I was born on July 1, 1946, and my sister two years later. I think it was their way to fix their hearts and prove to themselves—and the world—that their spirit was not broken. My father applied to emigrate to Canada but was refused admission because his legal training was not considered to be a useful skill. He was finally permitted to come to Canada as a tailor’s cutter and a shepherd. When we arrived in Canada as refugees in 1950, he applied to the Law Society to become a member of the bar. He was refused because he wasn’t a Canadian citizen. Because that would have taken five years, he became an insurance agent instead to support his family. He did well, and I never heard him complain about not being able to practice his profession. But the moment I heard the story about his being denied the ability to be a lawyer, was the moment I decided to become one. I was four. My father died a month before I graduated from law school. He never saw me get called to the bar, never met his two grandsons, both of whom became lawyers—and are here today—and he never lived to see me revel in the life of the law. But I feel his legacy all around me today. A few years ago, my mother gave me some of my father’s papers from Germany. In those papers I found the answer to why he always spoke so respectfully and appreciatively of Americans. I saw letters from American lawyers, prosecutors, and judges he worked with in the US zone in Stuttgart. They were warm, compassionate, and encouraging letters, either recommending, appointing, or qualifying my father for various legal roles in the court system the Americans had set up in Germany after the war. These Americans believed in him and, as a result, they not only restored him, they gave him back his belief that justice was possible. We welcome you, Mrs. Roosevelt, as the representative of a great nation, whose victorious army liberated the remnants of European Jewry from death and so highly contributed to their moral and physical rehabilitation. We shall never forget that aid rendered by the American people. We are not in a position of showing you many assets. The best we are able to produce are these few children. They alone are our fortune and our sole hope for the future. As one of those children, I am here to tell you that the gift of American justice at its best, is the gift that just keeps on giving, a gift that propelled me from a displaced persons camp in Germany, to becoming the first Jewish woman on the Supreme Court of Canada, and now to this stage. I stand proudly before you, fellow graduates, believing, as did my father, that democracies and their laws represent the best possibility of justice, and that lawyers are the people who have the duty to make that justice happen, the duty to do everything humanly possible to make the world safer for our children than it was for their grandparents, so that all children, regardless of race, religion, or gender, can wear their identities with pride, in dignity, and in peace. Thank you, magnificent Yale Law School, for the great honour of letting me graduate with these brilliant and committed lawyers, and for all you have done, are doing, and will do, to make them our hope for the future.